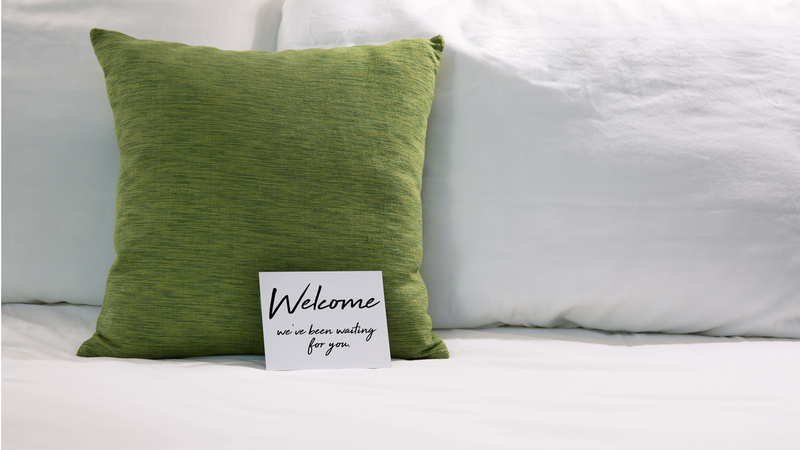 Guests will quickly see that details have not been overlooked at The Resort at Governor’s Crossing. The Resort provides 24-hour front desk service, secure interior corridors, and free onsite parking. 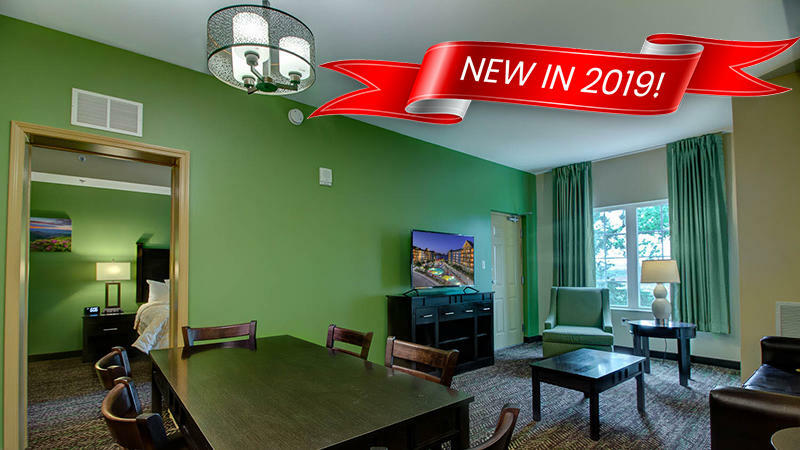 Amenities include an indoor water park and a seasonal outdoor water park with a garden courtyard; nine hole putt-putt mini golf course, pirate ship playground, work out facilities, arcade area and meeting spaces. 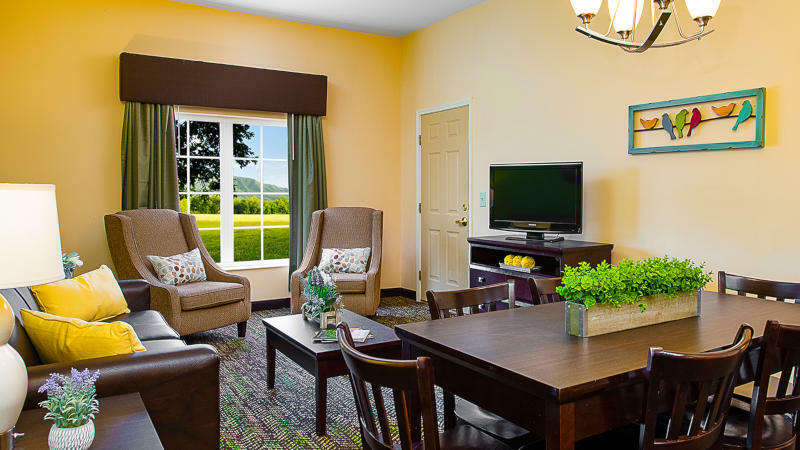 All guest units have complimentary wireless Internet access. 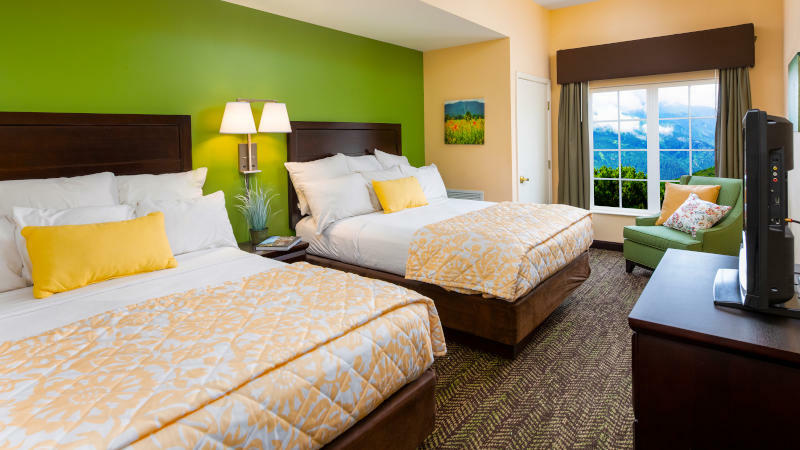 The Resort at Governor’s Crossing provides guests with their choice of room types, with some units accommodating up to 14. 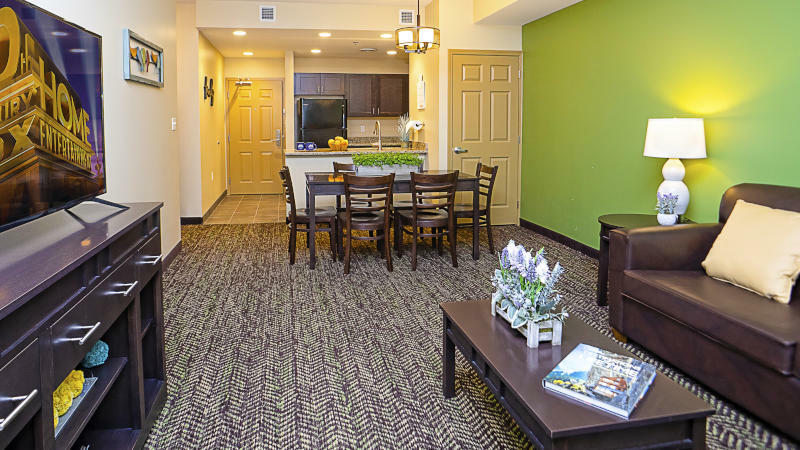 Guests will certainly enjoy the convenience and savings of having a fully equipped kitchen, including cooking and eating utensils, in all of our spacious units. Studio units feature either queen or king size beds with full kitchens. Our one-bedroom condominium, sleeping up to six people, features a private bedroom with two queen size beds, living room with sleeper sofa, and a dining area. 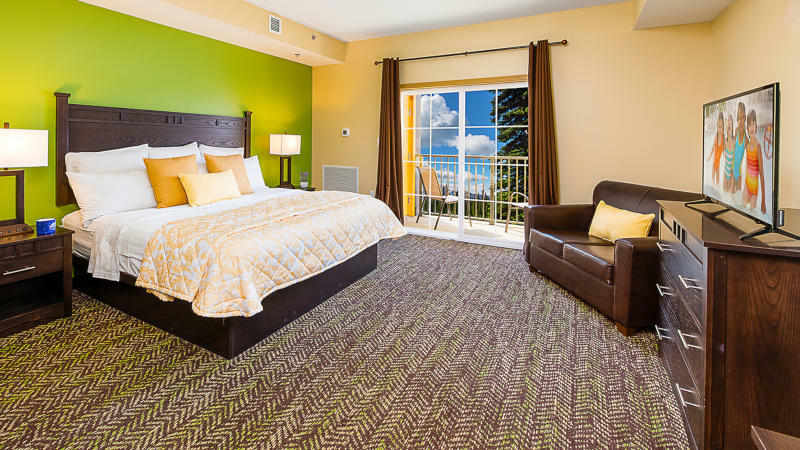 Accommodating up to eight people our two bedroom condos are perfect for large families or couples traveling together. With over 1700 square feet of living space our three-bedroom unit will accommodate up to 14 people comfortably.